The websites with all different kinds, whether they are enterprise or commercial website, forum, or a blog, are considered a dream that every user wishes to realize. At KHELLAN, we know that realizing such dream is not possible for everyone; so many services have been developed to give all users the chance for having a website. You can choose your favorite service that meets your needs and enjoy with the flexibility of payment method you want. Our services are unique because they include all features and advantages of hosting for individuals and enterprises. With KHELLAN web hosting, there is no limit for advantages and that makes our services unique in its kind. Ensuring the availability of the network with a rate up to 99 %. The ability of offering the backup for the customer at any time. The ability of ordering the backup on a CD in consideration of a nominal price. 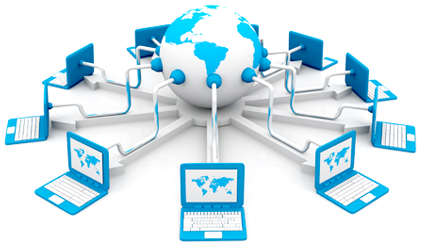 All servers are operated under a private network at KHELLAN that is protected by a Firewall. Returning the amount of money in case of dissatisfaction with the hosting during the first period. The traffic protection, anti-virus programs, and spam protection advantages. The network stability with a rate 99.7%. A 128 bit encryption system on the server. Special settings for the website acceleration. A safe control panel with a high advanced technology. The domain title approved by the official authorities for the registered period. A repeated email reminder for renewing the domain before the expiration of the domain registration period. KHELLAN DIGITAL SOLUTIONS is an official Emirati enterprise that is self-evident which gives the customers more relief and trust. KHELLAN offers all domain-related services; such as hosting, transfer, and support services. It also introduces the renewal ability for ten years at once. A search engine for the domains that has all extensions, including the UAE extension (.ae). Now with KHELLAN DIGITAL SOLUTIONS, you can reserve internet domains under world extensions and choose the hosting plane if you want to have a hosting plan with us. You can visit The hosting plans available and enter the domain name you want to reserve. We will decide weather the domain name is reserved before or not. 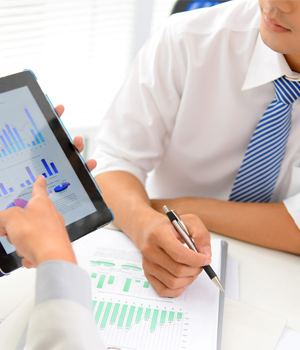 You can also communicate with one of the coordination and follow-up employees at KHELLAN DIGITAL SOLUTIONS for performing the process. In case of the availability of the domain to be reserved, the system will ask you if you want to obtain a hosting plan in addition to domain reservation, or you want to reserve only the name. 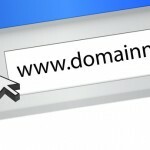 Choosing the domain name is considered the first step for creating a website on the internet. At KHELLAN DIGITAL SOLUTIONS, we satisfy all the customer needs which include the domain extensions that are more than 15 different domain extensions. The domain or the domain name symbolizes your private domain as it expresses the first impression for anyone browsing the web, so you must take enough time for making a good choice. Our prices begin with (65) AED; KHELLAN offers the domain with the least cost compared with the rival enterprises. It is not necessary to host the domain name on a space at KHELLAN DIGITAL SOLUTIONS; you can register the domain by us and put it on a space at another enterprise. Choosing the domain required to be reserved by using the search engine at KHELLAN. Receiving the data of the domain and linking the domain with a space according to the customer choice. Operating the Email system in case of choosing the hosting plan. Designing and programming the website by KHELLAN DIGITAL SOLUTIONS, if desired. According to the domain enterprises conditions, KHELLAN DITIAL SOLUTIONS commits with satisfying the customer desire at any time he requests transferring his domain to another enterprise by offering a mechanism for requesting the EPP Code. Such code will be sent to his email and the customer can follow up the transfer process by the links he will receive on the email. A remaining period of 60 days before the expiration date of the domain. Your email is the email registered in the domain current data where you will receive a message to request your approval to the transfer. Providing us with the authorization code (the code of the domain) that can be obtained from the company by which the domain has been reserved. Deactivation of anonymity, if present.